Salvation Army Tax Deduction Tips: As you think about preparing your taxes (or at least finding all of those receipts you shoved somewhere in a box to take to the accountant), it’s never too soon to think about tax-deductible charitable donations for 2017’s taxes. For those who itemize their deductions, charitable donations to organizations like the Salvation Army and Goodwill can help lower your tax bill while doing something good for the world. Salvation Army donation guidelines and deduction tips can be helpful in figuring out how to make the most of your tax write-off. The higher your income bracket, the more likely your donations to the Salvation Army or Goodwill will reduce your tax bill. A percentage of each donation is deducted from what you owe. For example, a person in the 28% tax bracket who donates $5,000 worth of clothing or household goods to the Salvation Army can deduction $1,400 from their taxes (that amount is 28% of their total donation). If you are looking for a deduction but only donate about $100 worth of goods every year, then the careful receipt-saving and record-keeping required to itemize tax deductions may not be for you. If you donate cash, it is important to donate only to federally tax-exempt organizations that can provide proof of their exemption as well as a receipt. Cash donations without a receipt are not tax-deductible. Donations valued between $500 but under $5000 need a receipt and a completed Form 8283, which explains how you got the item you are donating. For those donations that require a receipt, make sure to keep all paperwork from that transaction in case of an audit; in the end, the taxpayer is responsible for proving that they made a donation and that it was to a legitimate, tax-exempt organization. How do you put a dollar value on donated goods? If you are planning a big move and want to pare down large amounts of household goods, a Salvation Army or Goodwill tax deduction may be in your future. Placing the proper values on your donated goods can be challenging; they are not worth as much as they were when you first bought them, no matter how “lightly used” or carefully maintained they may be. This applies even to things like designer clothes and high-end small appliances. *Keep in mind that items not considered to be in “good” condition or better are not tax-deductible. Many online tax programs also offer great tracking tools for charitable donations that not only help you keep track of what you have given but also help you to assign value. 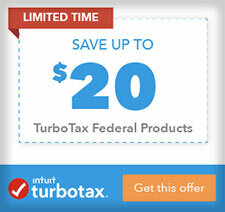 TurboTax’s ItsDeductible tool puts a date on your donation and offers real prices based on current re-sale values. ItsDeductible is available for cell phones and other devices so you can track your donations whenever you make them. H&R Block’s online tax preparation software (get a 50% off coupon) also offers a Salvation Army valuation and tracking tool for donations. Both TurboTax software (get a 20% off coupon) and H&R Block provide these tools for free online, even if you aren’t using their tax preparation software. This is like getting free accounting services! In general, the Salvation Army and Goodwill accept most household goods and small appliances, plus books, clothes, and used exercise equipment. Local stores may reserve the right to refuse donations in other cases; it is important to check with your Salvation Army or Goodwill store regarding large appliances and other donations that might not be accepted before filling your car with items. In any single tax year, you’re allowed to deduct charitable donations totaling up to 50% of your adjusted gross income (AGI). If you donate more than that, the IRS will allow you to carry over these donations for up to 5 subsequent tax years. 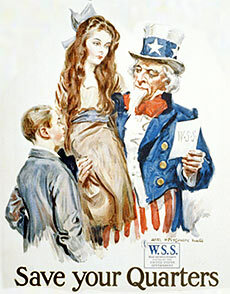 And who said that Uncle Sam wasn’t a compassionate guy? Even so, the IRS is on top of what the “average” person donates, which in most income brackets is about 3% of their AGI. Donating significantly more than that might raise a red flag, so always remember to keep your documentation and tax receipts in order. 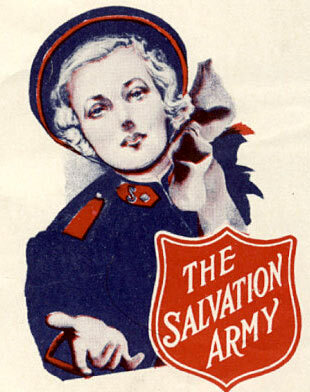 Donations to the Salvation Army and Goodwill are a great way to do good for the world while doing good for your tax bill. 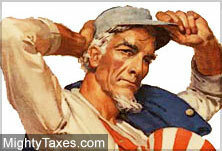 Do you take advantage of this tax deduction? Let us know! That means their bell-ringers raise over $112M each year!